I didn't hate this. 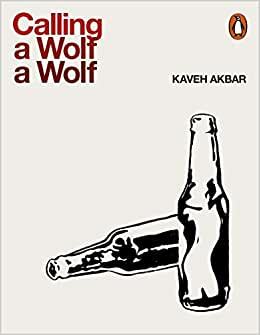 Kaveh Akbar has an original, well constructed thematic/imagistic universe and takes occasional risks that really pay off (eg the orchid poem, which I loved, and the nice big intuitive leaps in Fugu). He really works hard to make us feel the shame, anger, resentment, and sadness surrounding addiction and the work pays off - especially in his figurative language. That said... He relies a lot on similes, some of which are dreamy and evocative, and others of which could have used some re-tooling. He also provides a lot of connective tissue in the form of narration between his ideas. This is also often in lovely language, but he could stand to trust his reader a little more. Kaveh Akbar is a visionary poet and his talent is on full display here. He plumbs the depths of despair and recovery, particularly in his "Portrait of the Alcoholic with..." series of poems. It's not all despair though - his works are shot through with beauty and light and hope in ways that are often surprising and delightful. I ordered this book for a poetry class but the poems are amazing. Akbar is very thoughtful and unique. What a heartbreakingly beautiful book. Akbar has certainly mastered his craft. Eagerly awaiting his next collection!